Warning: This post includes a graphic photo. 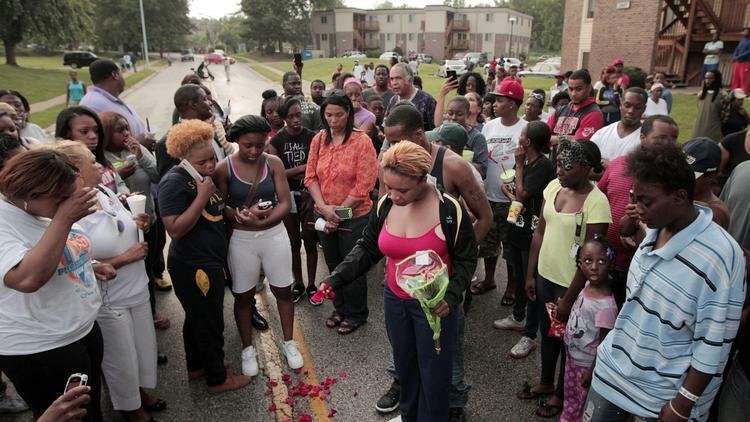 A Missouri teen, Michael Brown was killed by an officer with the Ferguson Police Department on Saturday afternoon. Chief of the St. Louis County Police Department, Jon Belmar, also overseeing the independent investigation, stated that Brown and an officer got into a physical confrontation wherein Brown went for the officer’s gun while the officer was in his vehicle and the officer responded by shooting him some 35 feet away from the vehicle. Brown was shot more than once. However, eyewitness accounts differ. They state Brown appeared to be surrendering. Moreover, eyewitnesses also say Brown was shot numerous times, maybe up to eight times. According to those eyewitnesses, Brown was walking with another individual, Darion Johnson, in the middle of the street when the officer approached and told them to use the sidewalk. Then Brown put up his hands and was shot. Eyewitness, Piaget Crenshaw, 19, was waiting for a ride to work when she said she saw the police officer attempting to place Brown in the rear seat of a squad car. She then observed the teen, hands in the air, attempt to flee. Several shots were fired at Brown as he ran, Crenshaw said, striking him in the head and chest. Crenshaw said police asked and she complied with a request that she turn photos of the scene over to authorities. After the shooting, a protest was held with some 1,000 protesters protesting the police killing an unarmed black teen. However, the AP, as cited by Radley Balko, ran a story with the headline, “Missouri Crowd After Shooting: ‘Kill the Police’.” Even though some reporters didn’t hear that line and even if they had, that seems like an odd thing to run with as your headline. Please note: I don’t tolerate threats to kill or harm police officers, public officials, or anyone else. Please don’t post them on my Facebook page. It not only contradicts everything I believe in, it’s also counterproductive to reform.This is the precise sort of crap police officials cite when explaining why they need more power, bigger guns, and more militarization, or when they falsely claim that their jobs are getting more dangerous. I really don’t have the time to monitor these comments all day. So my policy is pretty simple: If I see such a threat, I’m deleting it, blocking you, and reporting you to Facebook. If this is your cause, advocate it somewhere else. I won’t be implicated in it. As usual, it’s early and therefore, I would caution early judgment, as we await the details of the investigation and the case. 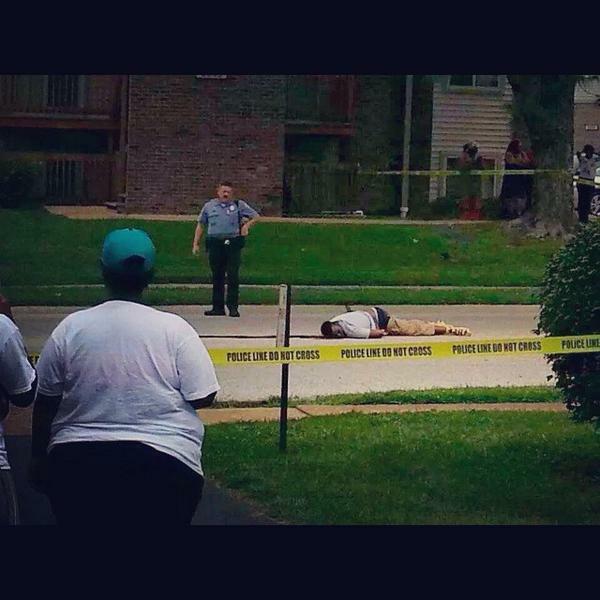 But what’s clear at the start is that we know Michael Brown was unarmed and that many shots were fired. We also know that the AP seems to have made an error in judgment with the focus of their article. We also know that calling for cops to be killed is abhorrently wrong and should be disavowed. My city is tired of police brutality. I think most cities share your sentiment.